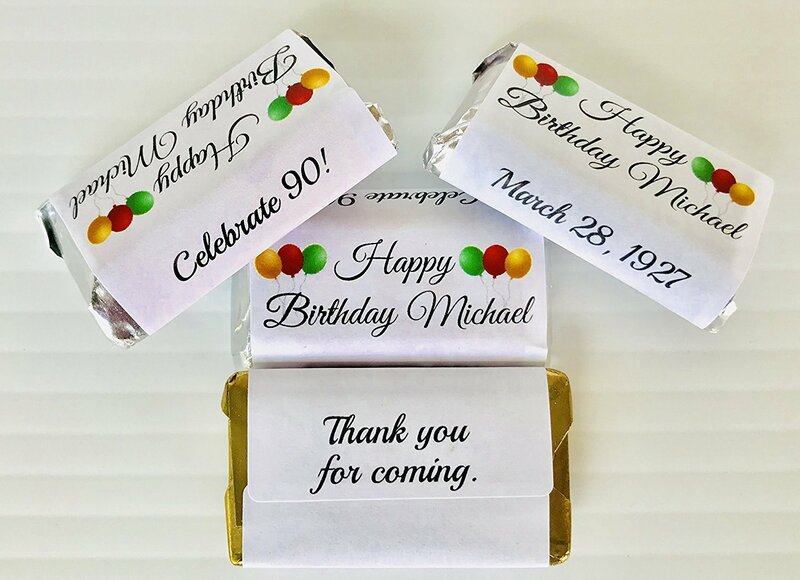 72 Self-Sticking Beautiful Birthday Themed Personalized stickers/wrappers/labels that fit your HERSHEY MINIATURES. 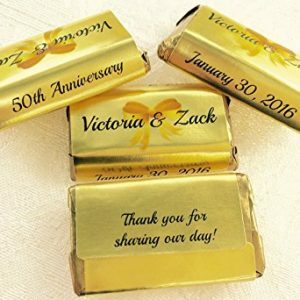 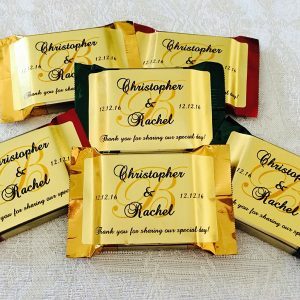 Make your own chocolate favors! 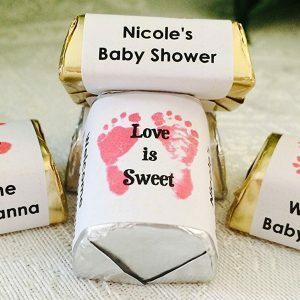 These beautiful labels are sure to be a hit once you wrap your Hershey Miniatures with them. 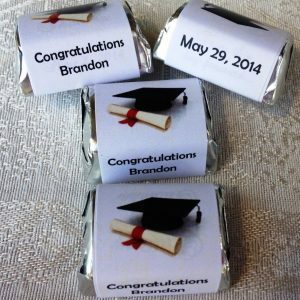 Wrapping your chocolates is so easy & fun! 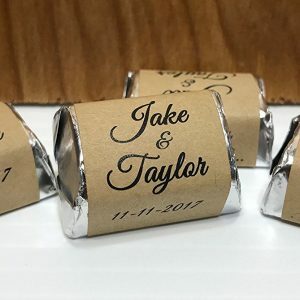 BOTTOM OF WRAPPER SAYS: Thank you for coming. 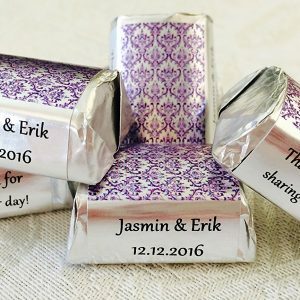 120 Silver foil PURPLE DAMASK Themed Wedding Candy wrappers/stickers/labels for your HERSHEY NUGGETS to make Personalized Favors. 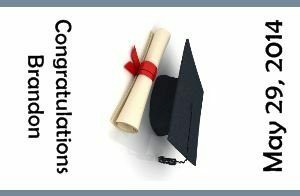 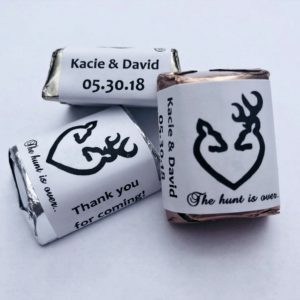 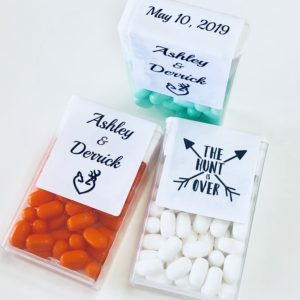 120 The Hunt Is Over Personalized Candy Labels/Wrappers/Stickers for Wedding.. 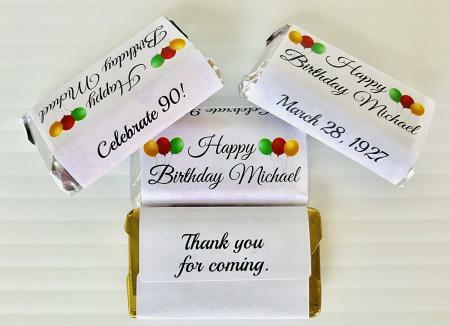 Fits your Hershey Nuggets.